If your excess weight is triggering health problems, limiting your physical ability and affecting your self-esteem, maybe it's time to say goodbye to those extra pounds. 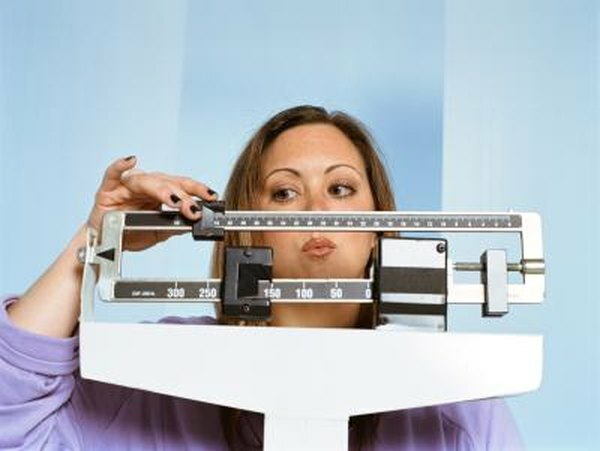 Losing weight can improve your self-esteem, health and lifestyle. Weight loss involves changes to your diet, physical activity and lifestyle. By making these changes permanent and easy to maintain, you can shed a number of pounds in two months and keep the weight off. The basic equation for weight loss is to burn more calories than you take in daily. Losing weight involves reducing your caloric intake and burning extra calories through physical activity. Each pound of fat is the equivalent of 3,500 calories, which means that you'll need to burn 500 to 1,000 calories per day to lose 1 to 2 lbs. in a week. If you eliminate or burn an extra 1,000 calories per day for two months, you'll lose 16 to 20 lbs. The most effective way to burn a high amount of calories in a short period is through aerobic exercise. Running, cycling, jogging, kickboxing and swimming are aerobic exercises that burn a significant number of calories per hour. While 30 minutes of physical activity per day improves your health, the American College of Sports Medicine recommends exercising for 60 minutes on five days of the week for weight loss. Choose an exercise you enjoy and work at a moderate to intense pace to maximize your caloric burn during your workout. Exercise with a friend or change activities every few days to keep yourself motivated. Aerobic activity burns a high number of calories, while resistance training increases your metabolism and creates lean muscle mass. Increasing lean muscle mass enables your body's to burn calories during your workout and at rest. Use resistance tools such as resistance tubing, free weights, machines and your body weight to strengthen the muscles of your upper and lower body. Perform resistance training exercises two or more days a week. Burning calories through exercise won't matter if you eat more calories than you burn. Monitor your caloric intake and replace unhealthy foods with an array of whole foods. These foods provide essential vitamins, nutrients and fiber. Fill your meals with lean protein, fresh or frozen produce, whole grains and low- or nonfat dairy products. Whole foods fuel your body for workouts, replenish necessary vitamins and nutrients, and keep you full longer due to the fiber content. Get rid of unnecessary calories by limiting or avoiding fast or processed foods, unhealthy fats and sugary beverages. Eliminating 500 calories from caloric intake each day leads to a 1-lb. weight loss each week before exercise.